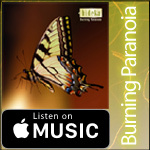 Burning Paranoia -single- 19th Aug. release!! 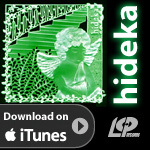 Conceived from the delusions and imagination of summer, Hideka presents her latest single. 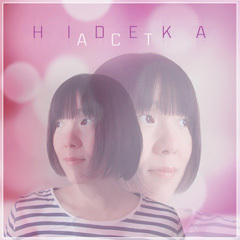 Another self-produced work, Hideka does it all as composer and lyricist, programmer and vocalist, while also playing all instruments, including bass, guitar, organ and piano. In 'Burning Paranoia' is painted an intense, bizarre, maddening delusion. 'One Way Bossa', on the other hand, elicits a refreshing sense of a laughing, carefree romp through a fresh meadow. 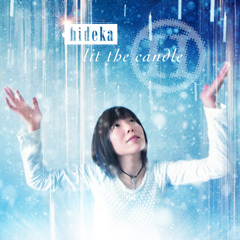 Either of these two contrasting songs are fascinating works that wonderfully overflow with Hideka's broad world view. 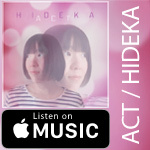 Sit back and enjoy both a rare bewitching melody by Hideka, as well as an aggressive performance. 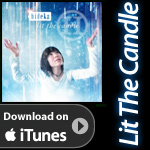 Lit The Candle out 17th Dec!! hideka: After starting out as bassist-vocalist with Loco-Holidays then performing in the solo project Ruby Ruby Star, Hideka gained experience as a music producer, songwriter-lyricist and commercial songwriter before taking her career to a new level as a solo artist. With melodious vocals that seem to float and a unique sensitivity reflected in her craft, she appeals to fans both in Japan and around the world. Her musical concept covers a wide range of genres---dream pop, alternative rock, ambient, electronica, shoegaze, bossa nova, jazz, etc.--- aimed at pleasantly stimulating the senses of the listener and arousing the power of imagination. 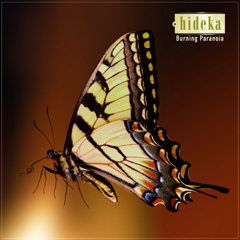 Through the filter named 'Hideka', these join together and produce a unique style that charm the listeners as her musical wings spread farther and farther. 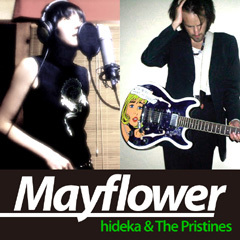 Mayflower - out 12th May!! 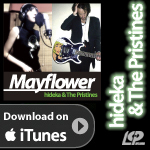 Mayflower by hideka & The Pristines - out 12th May!! This album is released by ..:: LCP RECORDS ::.. and is available via digital download on iTunes,Amazon MP3 (and other platforms).